Martin Luther: A Wild Boar in the Lord’s Vineyard tells the story of one of the most eventful and extraordinary lives of the late medieval period. On 31 October 1517 an obscure German monk named Martin Luther posted 95 theses protesting the selling of indulgences. This single act brought him into inevitable conflict with both pope and emperor. The dispute that followed changed not only Luther’s life, but also the religious and political face of Europe. This book offers the modern reader a concise and accessible account of Luther’s remarkable life. 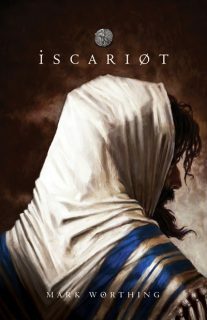 It explores his passionate and fiery character, introduces us to a colourful cast of friends and enemies, and explains the complex politics of church and empire. Whether you love or hate Luther, agree or disagree with him, you will be left with little doubt that his life and thought have shaped the world in which we live – and in more ways than you may have thought. Mark Worthing is pastor of Immanuel Lutheran Church, North Adelaide, Australia. He holds a PhD in the history and philosophy of science from the University of Regensburg and a Dr.theol in ecumenical theology from the University of Munich. He has lectured in Reformation church history at Luther Seminary, Adelaide, Tabor College, Adelaide, and Universitas Pelita Harapan, Jakarta. 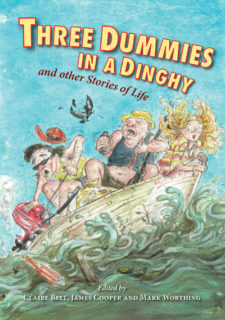 His most recent publications include Graeme Clark. The Man Who Invented the Bionic Ear (Allen and Unwin, 2015) and Narnia, Middle-Earth and the Kingdom of God. A History of Fantasy Literature and the Christian Tradition (Stone Table Books, 2016). 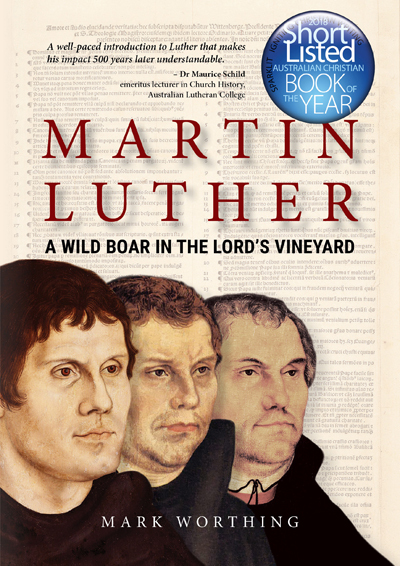 To commemorate the 500th anniversary of the Reformation, Rev Dr Mark Worthing has released a new book entitled Martin Luther: a Wild Boar in the Lord’s Vineyard with Morning Star Publishing. Rev Dr Lynn Arnold, former Premier of South Australia, had this to say about it. What was the X Factor in the Protestant Reformation that caused a schism in the Roman Catholic church which would have lasting effects up to the present day? Was it Martin Luther himself, the breakthrough in technology, the age of exploration, social and political unrest, or basic changes in religious belief? Lutheran historian Mark Worthing, Anglican theologian Michael Jensen, Catholic feminist Kristina Keneally, and religious studies specialist Carole Cusack provide their answers in a panel discussion with Rachael at the University of Sydney. … a well-paced introduction to Luther that makes his impact 500 years later understandable. Readers will glimpse and light upon the firm ground of justification by faith alone in Christ, as famously rediscovered by Luther. The thirty-two short chapters profile the Reformer’s eventful career, his character and the great highs and lows of his life. ‘Martin Luther’ is a pleasure to read and worthy of wide attention. In this jubilee year of the Reformation, new books and research on Luther abound. In this sketch of Luther’s life by Mark Worthington, many of these fresh insights have been delivered in an accessible and readable form. The book shows us the human and vulnerable side of the great Reformer, drawing back the curtain of history to reveal the secret of Luther’s genius; that theology can only be authentic when it is embodied in everyday living.